The Pension Fund is launched. The third pillar of the public offering service is set off. The first sponsored pension fund is held for 5 years. Do you buy it? What is the difference between a pension fund and a normal “FOF”? With the changes in the environment and social environment of the times, the physical distance between many children and their parents has been expanding. It is difficult to take care of themselves every day. At the same time, many children are already struggling to cope with the expenses of their small families. The demand for funds is often too much and there is not enough power, so it seems unrealistic to only expect children to support the elderly. Pensioning needs to be prepared for the rain. The sooner you prepare, the more emboldened you are, and the more you get older, the more free you are. We use data to speak, assuming an investment is expected to have an average annualized return of 5%, preparing for a 60-year-old pension. If we start investing at the age of 30, we will invest 2,500 yuan a month. 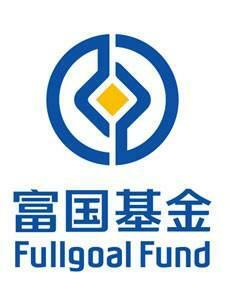 By the time we are 60, we will invest a total of 2.89 million yuan in pension funds. If you start investing from the age of 40, or invest 2,500 yuan a month, to 60 years old, count on the investment (600,000 yuan) will accumulate a total of 10.32 million yuan of pension funds. You see, it has been prepared for 10 years, and the total investment is 300,000 yuan. However, when you are 60 years old, the money available for pension is a difference of 1.06 million. We can't be too Buddhist in our treatment of pensions. As far as the quality requirements of life are concerned, it is not enough to rely solely on pensions. According to the ILO's recommendations, it is safe to reach 55% of the pension replacement rate (the ratio between the level of pensions and the level of pre-retirement wages). And to maintain the current standard of living, it must reach more than 70%. 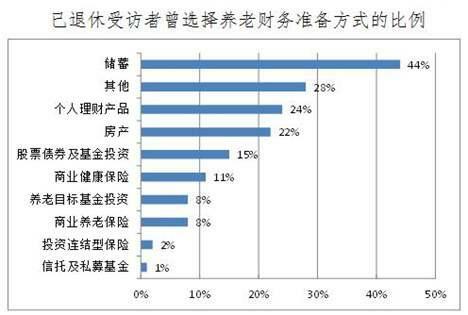 Relevant data show that in 2017 China's basic pension replacement rate was only 42%, below the 55% warning line. And with the aging of China's population, this replacement rate still has a downward trend, so we can only get the most basic protection by relying on social security (retirement). If you want a better quality of your old age, you should plan early when you are young. Otherwise, 30 years later, the biggest difference between peers is not the appearance, but a very different life in their later years. When the pension meets the "inflation" killer, it seems a little weak by relying on the accumulation of pensions: According to the data released by the National Bureau of Statistics, the average annual inflation rate from 1990 to 2015 is about 4.37%. This means that if you have a savings of 1 million, don't make any investment and don't add value. After 10 years, the money is only equivalent to the purchasing power of 650,000 yuan today. After 20 years, the purchasing power has shrunk to 280,000 yuan. Therefore, now that there is money does not mean that there is money in the future, making money is the ability, and keeping money is the ability. Pensions can't rely on death, but they also need to invest in their appreciation and outperform inflation. In the face of financial pressure, saving money is not only necessary but also feasible. Formulate a pension plan, get rid of the "moonlight family" title, compress some unnecessary expenses, and use the saved money for pension investment or pension reserve. Even if only a few hundred yuan is saved every month, such a year, 5 years, and 20 years will be a fortune. And insist on investing, believe in the power of compound interest, you will harvest the roses of time. The future depends on the present! To live an ideal old age, plan early! November 3, 2017 The CSRC has formulated the Guidelines for Pension Funds for Pensions (Trial), which is open to the public for comments. The current launch of the pension fund has a very important positive significance and necessity for the public fund industry to serve individual investors' pension investment, promote the reform of pension marketization, and promote the healthy long-term development of the public fund industry. To this end, the CSRC drafted the Guidelines for Pension Fund Investment Funds (Trial). March 2, 2018 The China Securities Regulatory Commission officially issued the "Guidelines for Pension Fund Investment Funds (Trial)"
The CSRC issued guidelines for pension fund investment funds, which were officially implemented from the date of promulgation. The pension fund has the following characteristics: First, it adopts the fund-based fund operation in the initial stage of development; secondly, adopts a mature asset allocation strategy; thirdly, sets a closed period or the shortest holding period for investors; and fourth, encourages fund managers to set preferential fees. rate. March 12, 2018 The Fund Industry Association issued the "Notice on the Registration of Fund Managers of the Pension Fund Investment Funds", which will open the way for reporting such products. 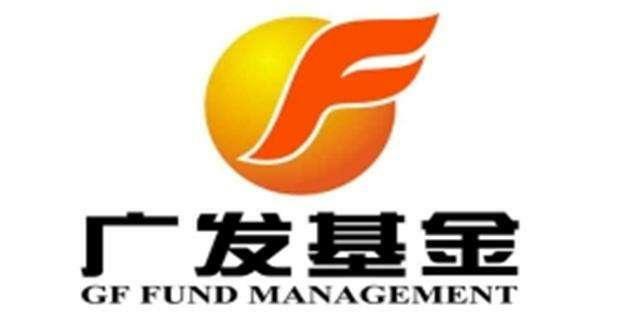 According to the announcement of the China Foundation, in order to further improve the self-discipline management of fund managers, the China Securities Investment Fund Association (hereinafter referred to as the "Association") is based on the "Guidelines for Pension Fund Investment Funds (Trial)" and the "Registration Rules for Fund Managers". The fund manager of the target securities investment fund (hereinafter referred to as “the pension fund manager”) is refining the qualifications and registration process. April 11, 2018 The first batch of 42 pension fund funds have been officially reported, most of which were accepted on April 16. 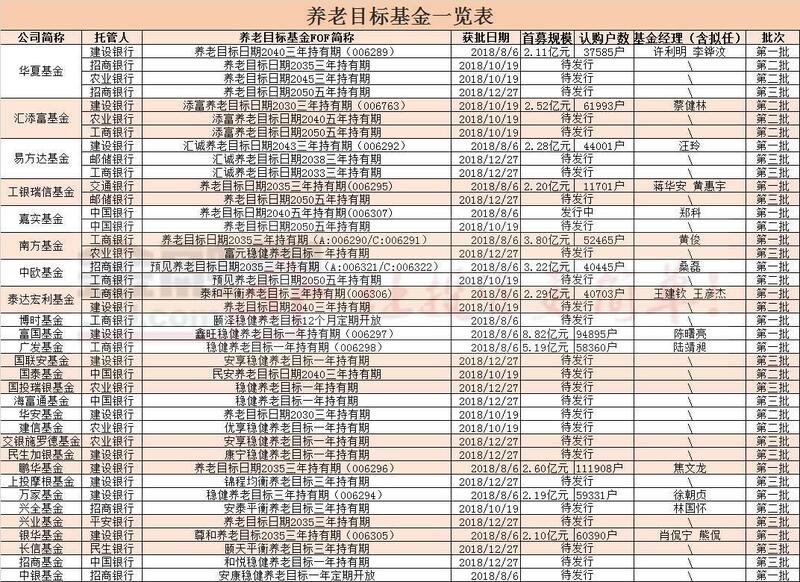 According to the official website of the China Securities Regulatory Commission, as of April 13, a total of 21 fund companies including ICBC Credit Suisse, Huaxia and E Fund have reported 42 pension fund funds. As the approval of the pension fund is an ordinary channel, it is expected that the first batch of products will be available in October this year. From April 23, 2018 The first batch of 20 pension fund funds formally defended, and the second batch of nine responded in early July. A fund company official said, "We are arguing next Tuesday. It is said that the arrangement was made by 21 fund companies next week, but after that, there was a small situation in the fund company. In the end, it may be that 20 fund companies responded." May 11, 2018 The first batch of 20 pension fund funds received the first feedback. 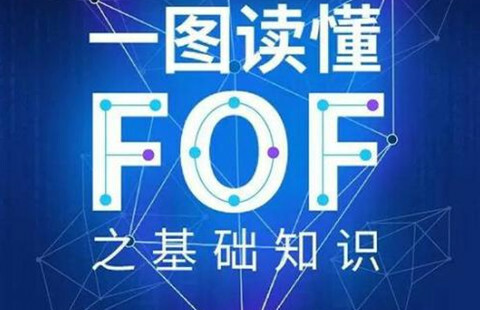 According to the information on the website of the China Securities Regulatory Commission, the first batch of 41 pension fund funds were declared on April 11th, involving 21 fund companies, and some companies reported three or four products in one breath. The pension fund was received more than the acceptance decision on April 17. On May 11, 20 of the funds received the first written feedback. The 20 funds came from 20 fund companies. August 6, 2018 The first batch of pension funds were approved for issuance. The long-awaited pension fund has finally come out. 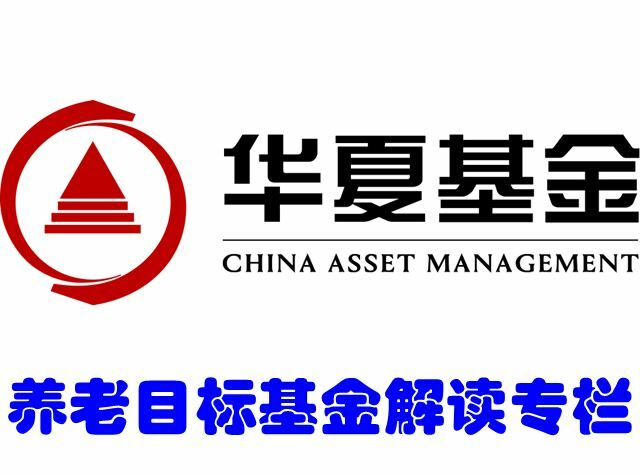 Today, the China Securities Regulatory Commission issued China Fund, Harvest Fund, Bosera Fund, Southern Fund, Wells Fargo Fund, TEDA Manulife Fund, GF Fund, Bank of China Fund, Wanjia Fund, China Europe Fund, E Fund 14, Penghua Fund, Yinhua Fund, ICBC Credit Suisse Fund 14 fund companies 14 pension fund. By convention, the above funds will be completed within 6 months at the latest! August 28, 2018 The first pension fund is issued only in direct sales channels, offline outlets, and official website sales. Huaxia Fund announced on August 25 that the Chinese pension target date 2040 three-year holding period mixed fund fund (FOF) will be issued from August 28 to September 17. This means that after the first batch of 14 pension fund funds were approved on August 6, the first pension fund was launched. September 10, 2018 Two pension fund funds were issued on September 10, and the bank realized simultaneous sales agency. Following the China Assets Fund, the China Europe Fund and the TEDA Manulife Fund also launched the launch of its first pension fund. The two companies announced on September 6 that CEIBS foresees pensions for 2035 three years. The hybrid FOF, TEDA Honglitai and the balanced pension target three-year holding period hybrid FOF were officially released on September 10. It is worth noting that the issuance of these two funds is simultaneously sold in various channels such as banks and third parties. This means that the preparation of pension funds by banks, third parties and other channels has been gradually completed. Nine fund companies have received notice of the approval of the second batch of pension fund, and the number of approved products is expected to be 12. Compared with the first batch of 14 pension fund managers, each of them received only one approval. The second batch of pension fund managers were approved in different numbers. 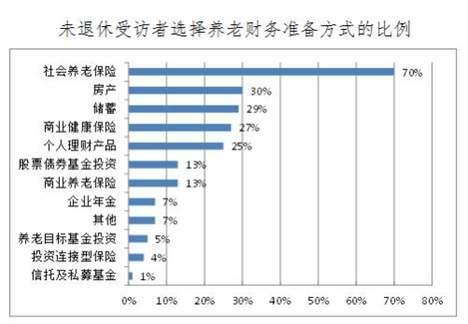 Most fund companies received approval from one fund, but Shanghai has One fund also received three approvals for the pension fund, and one company in Beijing also received two approvals for the pension fund. There are no shortage of 2050 target date funds in the approved pension fund. October 28, 2018 The third batch of pension fund funds collectively won the "birth certificate"
On the last working day of 2018, on December 28th, the third batch of pension fund funds collectively won the “birth certificate”. Up to 14 batches were approved, belonging to 13 different fund companies. Together with the first and second batch of approved pension fund, the number of approved target funds for the three previous years has reached 40. The pension fund is essentially for the elderly. The essence of pension funds is to emphasize discipline from different dimensions.